The Art Institutes (Ai) Food Truck Tour coincides with the third season of Food Network’s hit reality competition series The Great Food Truck Race, which can be seen Sunday nights at 9pm through the September 30th finale. Culinary Arts students from The International Culinary Schools at The Art Institutes will be asked to battle local food truck favorites. The trucks will each be challenged to create a dish that includes the same ingredients. Celebrity chefs, including James Beard Award-nominees Jon Shook and Vinny Dotolo, plus contestants from previous seasons of The Great Food Truck Race, The Lime Truck and Sky’s Gourmet Tacos, will be on-site to judge the matchups. The tour will provide guests and aspiring student chefs with the ability to watch the competitions live, taste diverse cuisine from participating local food trucks and to take photos on-site with local celebrity chefs–a total food experience. A portion of each participating trucks sales will benefit the local Art Institutes’ culinary scholarships. The tour will also showcase talented graduates from The International Culinary Schools at The Art Institutes who have garnered national recognition including Jesse Brockman, a 2009 alumnus of The Art Institute of California – Orange County, a campus of Argosy University, with an Associate of Science degree in Culinary Arts, who was a member of The Great Food Truck Race winning team last year with the Lime Truck. 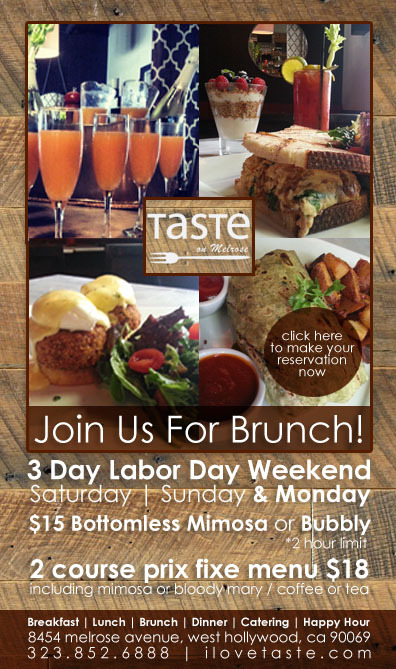 The community is invited to enjoy the Ai Food Truck Tour experience at several venues. The Ai Food Truck will make its debut at the LA County Fair on September 3rd and make an additional community appearance on the Huntington Beach Pier on September 15th. 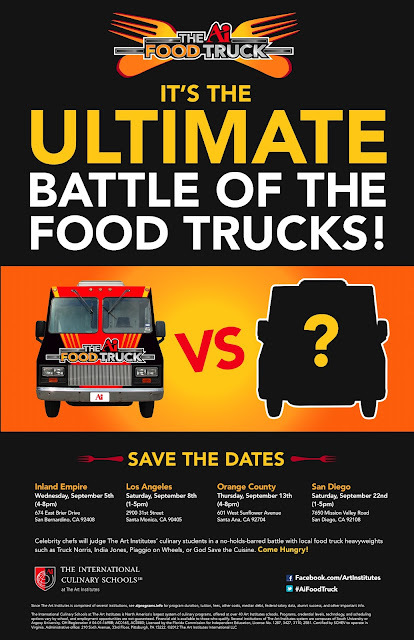 Follow the tour on Facebook at www.facebook.com/artinstitutes and Twitter at #AiFoodTruck. Heat the butter, olive oil and garlic in a large skillet over medium-high heat until fragrant, about 1 minute. Add the Supreme Plate seasoning and shrimp and cook, stirring, until the shrimp begin to curl, about 1 minute. 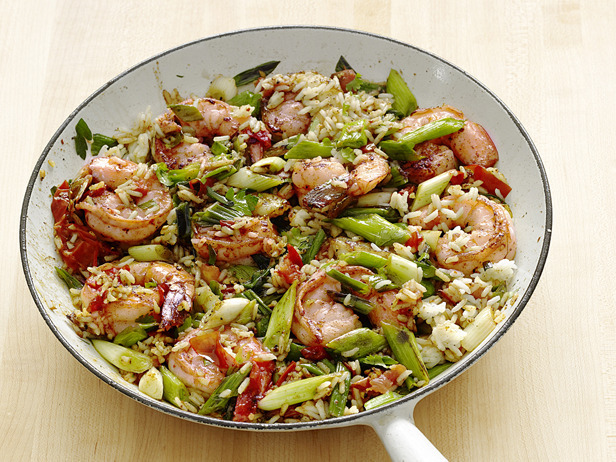 Add the tomatoes and scallions to the skillet and cook, stirring, about 1 minute. Add the rice and ¼ cup water and continue to cook until the rice is warmed through and the shrimp are opaque, about 3 more minutes. Stir in the parsley and serve with lemon, if desired. A Legend, A Gentleman, An Inspiration & A True Lover of Hip Hop. You walked through LOUD Records offices in the 90s and chopped it up with me on so many subjects, gave me some amazing advice that has stuck with me to this day and you will surely be missed by so many people. Rest In Paradise Sir. Parlez-vous Cabaret? 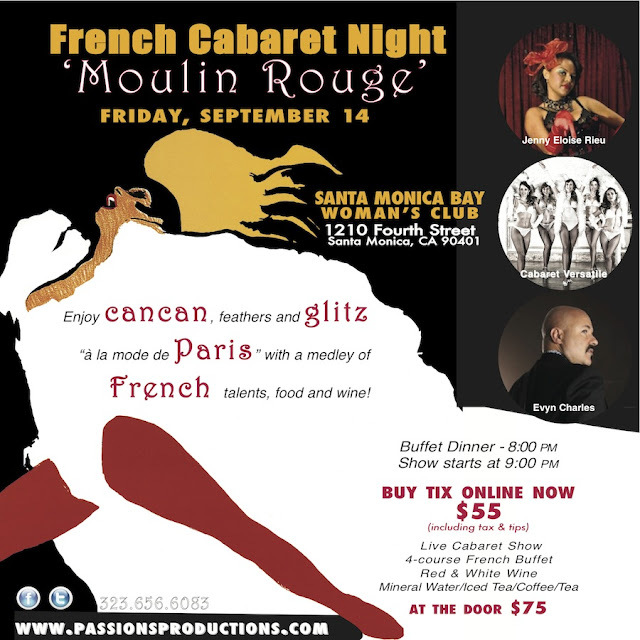 Get ready for a night of Cancan, feathers and glitz “à la mode de Paris” with a medley of French talents, food and wine! Jenny Eloise Rieu - ‘The Lady in Red’ is a French ‘vintage singer’ as she calls herself who will take you on journey to a time and place of old world elegance and glamor. Cabaret Versatile – recipient of the Best Cabaret and Variety Show of the Hollywood Fringe Festival, 2012 — will perform its latest revue with five amazing dancers choreographed by Lola Ohlala. Evyn Charles - a soulful and engaging singer will deliver superb vocals with an extensive repertoire of cover songs and originals in French and English. Nectesse Sweetener, The Best Natural Sweetener Hands Down. Summer is a blessing and a curse for many people. Once the Summer Sun comes out to play, people begin to stress about having that poolside / beach perfect body ready to flaunt in front of their friends. The problem with that is, if Summer is here your already getting too late of a start. More often than not, what kills us is the time spent hibernating in the house or at work, eating and drinking the wrong things and stockpiling sugars and fats in our bodies like a bear awaiting Winter. Enter Nectresse™ Sweetener, an all natural sweetener made from deliciously healthy Monk Fruit extract, which packs Zero calories. Lisa Ling, known around the globe, for keeping people focused on the important issues at hand that plague the World, has even tried Nextresse™ and fell in love with it instantly. 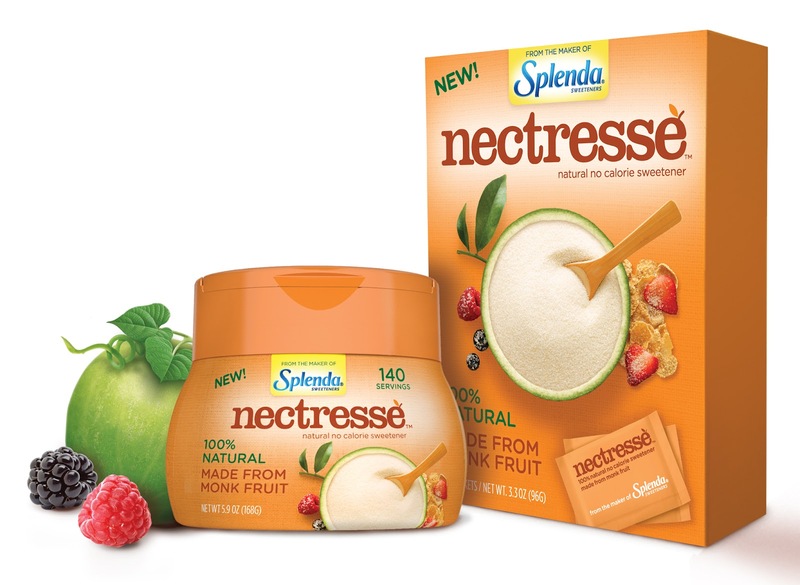 “From the moment I tried Nectresse™ No Calorie Sweetener, I loved it. Not only is it all-natural and calorie free, it was incredibly delicious! Made with deliciously sweet Monk Fruit extract, Nectresse™ Sweetener tastes like sugar and satisfies my sweet tooth in a way that fits my healthy lifestyle and is yummy too. In fact I love it so much that I bring it with everywhere I go. If you look inside my carry-on, you would find packets of Nectresse™ Sweetener.” – Lisa Ling stated in a recent interview about products she enjoys in her private time. Made by the manufacturers of Splenda® Sweeteners, the key ingredient in this delicious alternative to Sugar is Monk Fruit, which has been growing quietly in the remote regions of Asia for hundreds of years. The bottom line to it all is this: Nectresse™ Sweeteners (the only 100% Natural Sweetener) deliver a sweet taste, certain products just need to be consumed, without packing in all of the calories. Growing up in the day and age of obesity & diabetes, many things need to be considered before even making a sweet treat. If you come from a family with a history of Diabetes, simple things many people take for granted are at the forefront of your mind (hopefully) when making your families meals. We do a tremendous amount of cooking for special diet needs clients and elderly couples that can no longer cook for themselves, but are not ready to live the rest of their lives dining on frozen dinners. In some instances these meals need to be prepared carefully in terms of salt, sugar and spice levels. Nectresse™Sweeteners have enabled us to provide meals that are loaded with delicious natural flavors while being incredibly healthy. For instance, we recently made a few stacks of our Strawberry Cheesecake Pancakes and instead of using normal granulated sugar, we used Nectresse™ Sweetener and no one noticed any difference in the resulting product. 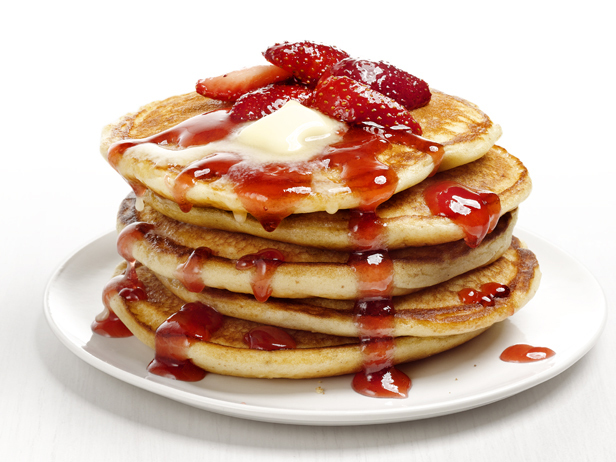 Check out the recipe below for our classic Strawberry Cheesecake Pancakes (a fan favorite on the site) and try it out using Nectresse™ Sweetener instead. Its good to the last bite and healthy for your insides, what more do you need to be told. Click the link for the entire recipe – The Supreme Plate – Strawberry Cheesecake Pancakes. Check out the video Lisa Ling is sharing with her fans and friends about her newfound love for Nectresse™ as well as check out their website for your own free sample. Trust us when we say, this isn’t some product that hasn’t done its research trying to make a quick buck, they have a quality product that is really healthy, something we could all use in our lives. 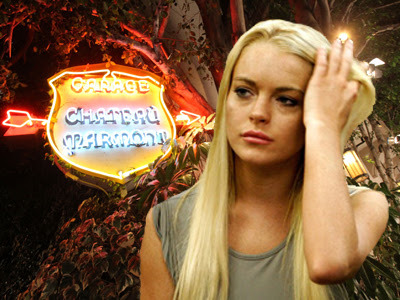 Lindsay Lohan Banned from The Chateau Marmont For Life. TMZ first broke the story stating that Lohan had been ordered to remove all of her items by August 1st, after numerous attempts at reaching the famous for no real reason at all star went unreturned. A quick break down of the bill showed that Lohan, blew through 49 packs of cigarettes (at $14.00 a pack,) racked up $3,145.07 in mini bar charges, burned a $100.00 Chateau Candle and quite a few other hilarious charges were made that she basically walked away from like she was something special. This should be a lesson to people who have that oh so special feeling of entitlement. Don’t rip off people who you obviously owe money too, it will catch up to you. 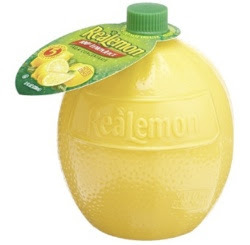 Happy National Lemon Juice Day Little Buddy. We spiced up the combo with some smashed potatoes and a spicy Chimichurri sauce that brings everything together in the end perfectly. This gives up about 4 servings or 2 for those of you who like to eat hearty. Put the potatoes in a large pot and cover with cold water. Add 2 teaspoons salt, partially cover and bring to a boil over high heat. Reduce the heat and simmer until tender, about 10 minutes. Drain, then return the potatoes to the pot and coarsely mash with a large spoon. Pulse the parsley, cilantro, cayenne, olive oil, shallot, garlic, vinegar and 1/4 teaspoon each salt and pepper in a food processor to form a coarse paste. Pat the pork chops dry and season with salt and pepper, smoked paprika, seasoning salt and garlic powder. Lightly brush the grill pan with olive oil, then grill the chops until just cooked through, about 2 minutes per side. 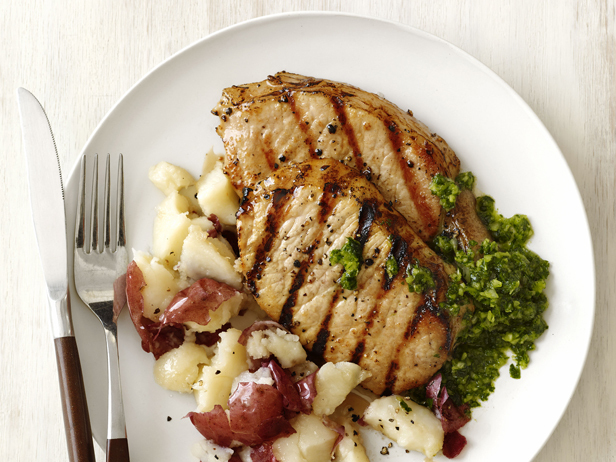 Serve the pork chops and potatoes with the chimichurri sauce. It’s a Saturday near the end of August and the weatherman said it wasn’t supposed to be blazing hot for the next 24 hours. 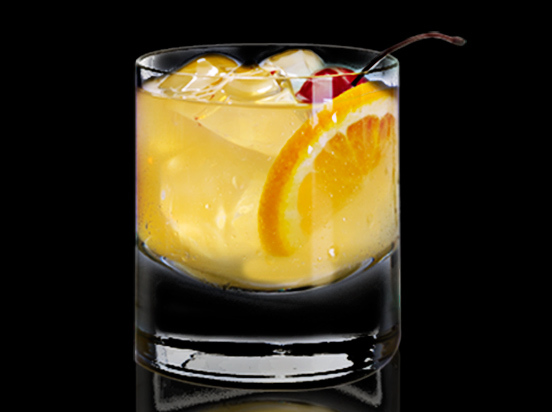 Mix those two facts together with a great day entitled “National Whiskey Sour Day” and you have the makings for a perfect poolside rest & relaxation session that should ease whatever troubles you, right out of your mind. The Whiskey Sour, a cool almost punch-like drink is one of those old classics you just can’t live your life without trying at least once. Quite simple to make and extremely delicious this is a drink you need to have in your arsenal for moments such as these. Pour Gentleman Jack & Sweet and Sour mix into a chilled rocks glass over ice. Stir together and garnish with and Orange slice and one Cherry. Vitamix. The Ultimate Kitchen Tool, No Home Should Be Without. Use the right tool for the right job and you will find yourself doing a lot less work, this is a simple but true fact. Having the proper tools on hand when the time calls for them makes life that much more fulfilling in a sense. You had the thought before hand that in life you may need something, so you went out and bought it and sure enough it was called upon to join you in battle one day. For instance, your having a party and you run out of food or drinks and need a quick way to whip something up, but don’t want to dirty up the house or go overboard at the moment, so what do you do? 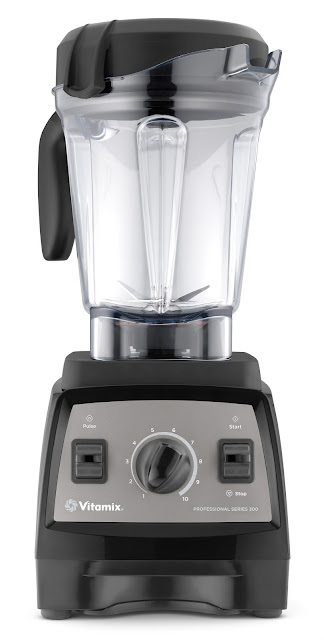 Well if you had a Vitamix blender, you would easily be able to CREATE something from scratch with a few flicks of a switch, turns of a dial and of course some carefully selected ingredients. Place all the ingredients into the Vitamix blender, secure the lid and place a hand over the top. Turn the blender to variable 1 and turn the machine on. Slowly increase the variable to 8, then 10 then high. If the motor sounds as if it stopping or getting caught up by the ice, reduce the speed and let the cubes get broken down or add a bit more Club Soda to smooth out the mixture. Blend on high for about 45 seconds and pour into chilled Rocks Glasses. Garnish w/ grated Cinnamon and place the remaining Cinnamon stick in the glass. 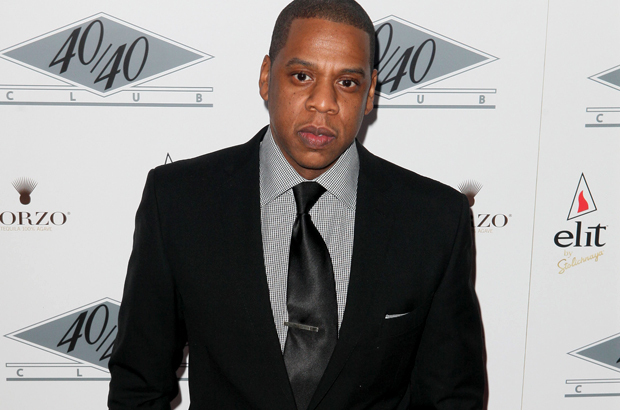 Music mogul and all around hustler, Jay-Z is suing his former personal Chef, Mike Shand, who became the Executive Chef at Hova’s famed 40/40 Club in New York City. The $1.5 million suit claims that Chef Shand, “failed to perform” and deliver on his part of the “deal, which ended up costing the club a major loss in profits, goods (and) alienation of clientele.” According to sources at the New York Post, Chef Shand who originally hails from New Zealand, was brought on to play a position he obviously couldn’t fill as part of a $10 million overhaul to the 40/40 Club. 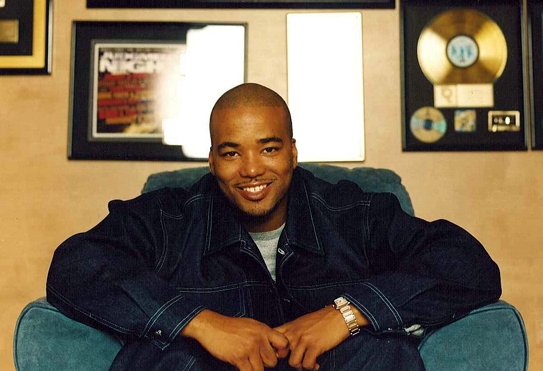 Now living in Los Angeles (to more than likely avoid any further bad press about his abilities,) it is unclear as to just what will be the defense angle taken by Chef Shand against these allegations, needless to say he wont be catering any Hip Hop parties in the near future. Jay-Z opened the 40/40 Club in 2003 and quickly doubled down on its success by opening another in Atlantic City in 2005. Plans have been announced that a third location will be opening inside the newly built Barclays Center, in Brooklyn (home to the Brooklyn Nets, of which Jay-Z owns a piece of the action) near the end of September. For those that don’t remember, Jay-Z does not play games when it comes to his projects, as he recently sued and won Chef Terry Miller, the winner of the British version of Hell’s Kitchen for starting a catering company and restaurant named “Rockafella” the name of Jay-Z former monster record label that helped to make Kanye West a household name. After years of bad press, allegations of potential “C” ratings upon it’s re-opening in January, the 40/40 Club must be important to Jay-Z, as he keeps fighting the good fight to keep its doors open to the public. If your going to be outside for any length of time, the number one thing you must remember is to stay hydrated. The intense heat that the entire nation is suffering from, mixed with all of the bad air and humidity is crippling to say the least. The worst part about having to suffer through endless weeks of high temperatures is being inundated with flavorless water to keep the brain functioning. Today being National Lemonade Day, we are going to give everyone a drink they can enjoy to the last drop and we mean everyone whether you’re vegan, on a gluten free diet, Kosher, Halaal or just looking to have something low in cholesterol, this drink is for you. 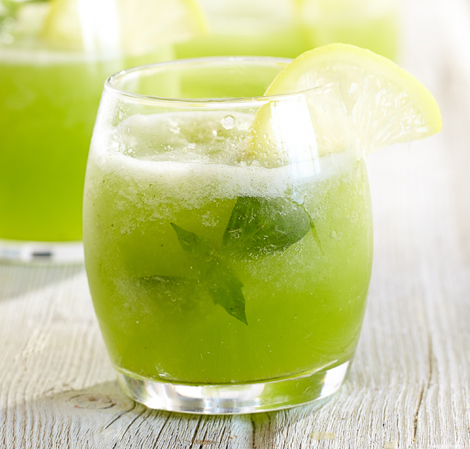 Simply pour all of the ingredients in the blender and give it a bit of time to work its magic and Voila, you have something that the entire family will enjoy sipping on, whether its after going swimming, right before dinner or even before heading out in the morning to face the blistering heat, this Frosty Basil Lemonade is just the right blend of Earthy freshness and cool refreshing sweetness. Turn the Machine on and slowly increase the speed to variable 10 and blend for 1 minute or until the desired consistency has been reached. Pour over ice into chilled glasses and garnish with Lemon. Don Q Gran Anejo, A Must Have. Un Clasico - aka "Watermelon Sangria"